A group license allows you to purchase multiple licenses using a single credit/debit card or Paypal account. This is really useful if you are part of a team, organization, enterprise or university and need to manage user licenses and purchasing from a single account. 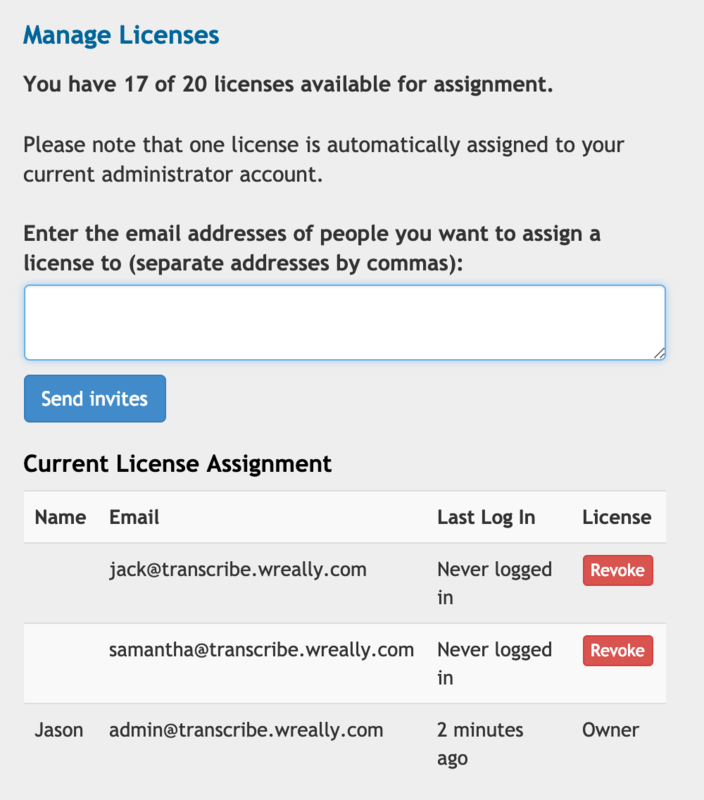 A group license costs $20 per user per year for Self Transcription. Auto Transcription minutes are shared with everyone in the group.